Your home is more than just a house. 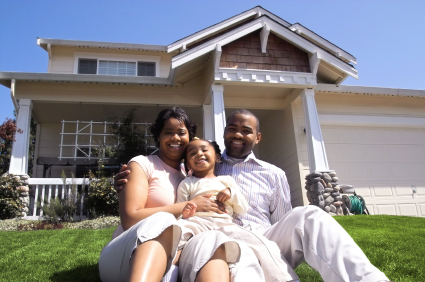 With home insurance you can protect your home, your possessions and yourself! Your home is an investment. Don’t forget about your belongings! It’s important to evaluate what you have in your home so if you experience a loss you have the coverage you need. Taking a home inventory is the best way to know what you have and whether or not you need to schedule any extra insurance coverage for valuables such as artwork, jewelry, guns and collectibles. How do I do a Home Inventory? — Know and record what you own! Whether you have homeowners insurance, renters insurance or condo insurance. Make sure you’ve taken inventory of what you own. It’s a good idea to store a record of your belongings away from your home. Here are some helpful tips and a secure website where you can take your inventory. This Smart Phone App for Android and IPhones make it easy to do your home inventory and add new items. You may not own your property but that doesn’t mean your contents aren’t important to you. Your landlord’s insurance does not cover you so check with us on getting you what you need for your valuables. You’ve chosen to live worry free, but you still need the coverage for personal property and liability. Chances are you or someone you know have been a victim of Identity Theft. We offer a range of options that you can add to your policies to cover you when someone has taken advantage of you. Some policies even include this insurance for you! Did you know…umbrella coverage can provide you with an extra layer of liability protection? Click here to read more. WHY ARE MY HOMEOWNERS INSURANCE RATES INCREASING? Many insurance companies across the country are adjusting their insurance rates and/or setting deductibles at higher amounts. Why? Primarily it is because of severe weather. The more frequent and severe our weather becomes the more claims. This can affect your rates even if you have not had a claim. Insurance carriers use premiums to pay claims to help people recover. By taking these measures, you can have confidence that your insurance carrier will be stable and have funds set aside for future claims.